Mary Ellen Graham-Katchmark, 78, longtime resident of Eden Heights of Olean, passed away peacefully on Friday, March 15, 2019 at Cuba Memorial Hospital after a long battle with Alzheimer’s Disease. Mary Ellen was the daughter of the late Robert J. and Lucie K. (Cellette) Swarts. She was born on July 29, 1940 in Detroit, Michigan. Mary was a lifelong Michigan resident until she moved to Olean, New York to live closer to her daughters in 2014. She enjoyed a long career as a business manager for Bay Port Manufacturing and Max Brooks Realty in Michigan. Mary was an avid doll collector. Along with collecting, she also designed and created award winning dolls. Mary was predeceased by her husband, Daniel J. Katchmark, “the love of her life,” for 31 years. Besides her husband and parents, Mary was also predeceased by her brothers, John and George Swarts, her sister JoAnne Lain, lifelong friend Vonnie Boice, and step-son Matthew Katchmark. Mary is survived by her children; John H. (Paula) Marcoux II, DeeDee (Kurt) Fuller, Kathy (Jon) Morris, Mary (John) Hupp, and stepsons Daniel and Michael Katchmark. She leaves a living legacy of 11 grandchildren and nine great-grandchildren. A memorial service will be held at 11 AM on July 5th 2019 at Cuba Cemetery. 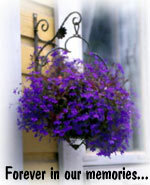 In lieu of flowers, memorial donations may be made to the Alzheimer’s Association at www.act.alz.org/donate. Arrangements are under the direction of Mark F. Rinker Funeral Home & Memorial Service, Inc, Cuba.